Owl Always Be Reading: Happy Halloween from the Owls!!!! Happy Halloween from the Owls!!!! Hi everyone! HAPPY HALLOWEEN!!!! 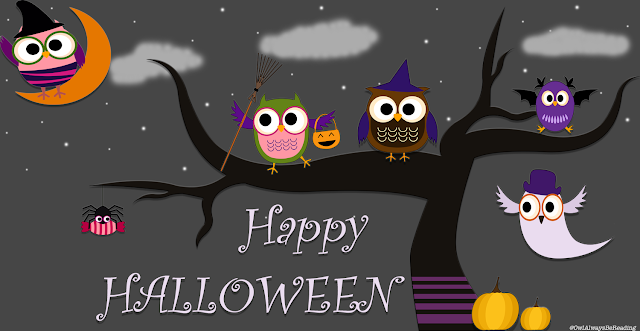 The Owls want to wish you all a fun and safe Halloween! Are any of you dressing up? If you are, tell us what you plan on dressing up as. We love to hear about it!